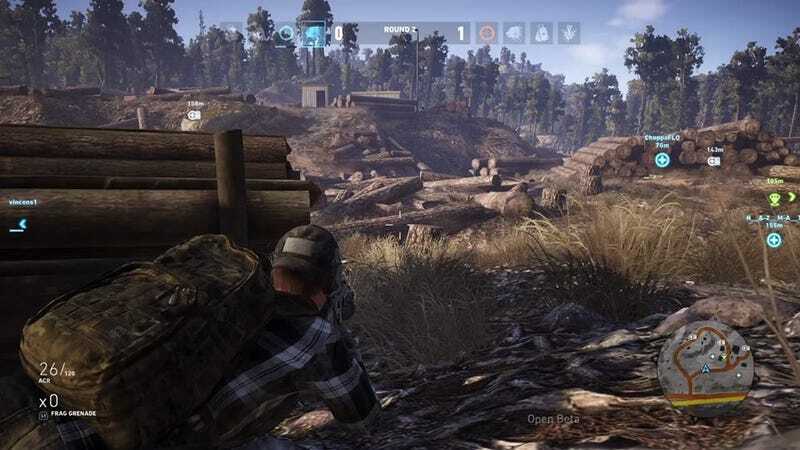 The new PvP mode for Ghost Recon Wildlands’ feels well balanced and has the promise of being a tactical shooter worthy of the Tom Clancy branding. That’s my initial take, having sampled the new beta that everyone can play this weekend, even if they don’t own Wildlands. The 4v4 tactical team deathmatch is available to play until September 25. The standalone download is available to try on PS4, Xbox One, and PC, and the full PvP mode will arrive as a free update this fall for anyone who owns the game. Despite sounding like a simple team deathmatch experience, you only get one life per match in a best of three games, so you’ll rely heavily on team communication. You start with a Recruit class with a pretty standard loadout and a recon drone at your disposal, but you’ll eventually earn skill points to unlock new class types for specific roles. Also, Ubisoft balances Ghost War by only allowing one of each class type per team. This game mode would be a filthy sniper fest if everyone was allowed to choose the Sniper class. Twelve different classes will be available at launch, but the beta lets us test out two from each category. The Assault category has the Pointman class, which is a soldier with a 20% health boost and immunity from suppression and flash grenades. The Tank is a heavy class with the option of a Stoner light machinegun or the P90. In the Marksman category, you can test out the Sniper class or choose the Enforcer if you want to provide advanced suppression cover, which can disrupt the enemy’s aim. The Support role has the Scout class, which comes equipped with a recon drone and a motion detector for tagging enemies for your squad. The Artillery class has a powerful mortar drone, and you definitely don’t want to be caught in its range. The full mode will hopefully have a few more loadout options, as classes only have one or two gun choices each. You also can’t choose any attachments for the guns, so I’m not sure if we’ll see the addition of grips or other sights. A new ‘suppressing fire’ PvP mechanic distorts the enemy’s view as you fire around their cover. I prefer to play as the Pointman to counter the suppression and flash grenades, and the class also has a pretty sweet ACR assault rifle. The beta offers five maps with diverse terrain, and the time of day will vary. Quarry is a narrow, L-shaped map with high sniper points, while Desert Outpost is large and open for great long-range gunfights. Most of my games took place during the daytime, but I loved matches that started at dusk, because the gradual transition to nightfall provided a much greater challenge. Weather elements can also change the game, especially when you can’t hear well in a full-on storm. Rain or shine, the game plays really smooth. There weren’t any real issues encountered on day one, which is usually a good start for a beta. Partying up with friends was painless and without any unfortunate disconnects. We found matches right away, but we did experience lengthy load times getting into the game. Originally, I worried how tactical this team deathmatch mode would feel, but I was surprised by how much fun and teamwork was involved. I think the biggest challenge here will be the size of the player base. If you traded your game because you feared PvP mode was never going to arrive, the beta might be a great time to jump back in. Ubisoft has even teased more classes, maps, and a new mode coming in the future, so I’m curious to see what comes next.